Position available for one year from date of hire with the possibility of renewal. Working independently, under general supervision, the Office Coordinator will coordinate and oversee administration functions for the Vice President's office and the office of the Associate Vice President for Advancement and the Capital Campaign. This position provides executive-level support to various administrators in addition to coordinating daily office operations; managing financial transaction processes and reconciling operating expense budgets for state and foundation accounts; facilitating attendance and payroll functions for the division and supporting development activities with donor engagement efforts. Additional duties include conducting research, preparing statistical and financial reports and correspondence, composing donor correspondence, handling information requests, receiving visitors, arranging travel, managing administrator's calendars, coordinating meetings and managing special events. Additionally, this position provides lead work direction and training to students. Incumbent is responsible for independently interpreting the unit's policies, procedures, and guidelines, and using judgment to apply campus and university policies, procedures, and guidelines, to coordinate the unit's administrative operations. This position is an integral part of the Office of the Vice President for University Advancement and the division. This position requires a fully functional knowledge of and skill in standard office procedures and practices, as well as an ability to understand and operate in a variety of organizational structures. These qualifications, and those listed above, would normally be obtained through completion of either at minimum a high-school diploma combined with three years of related work experience. California State University, Chico, in accordance with CSU policy, requires that the successful candidate complete a background check (including a criminal records check/and or fingerprinting) prior to assuming this position. 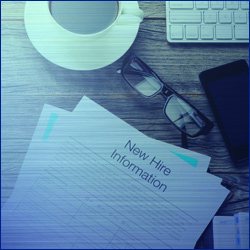 Failure to satisfactorily complete or pass the background check may impact the job offer or continued employment of current CSU employees who apply for posted positions identified as sensitive. This position is considered a sensitive position based on CSU guidelines. Incumbent is responsible for the safety and security of Level 1 data, sometimes also referred to as Level 1 protected data. This is confidential information that is in most cases protected by statutes, regulations, or other legal mandates. The duties of this position will include participation in a decision that may have a material/financial benefit to the incumbent. Therefore, this is a designated position under the California State Universitys Conflict of Interest Code and the incumbent will be required to file a Form 700: Statement of Economic Interest and is subject to the regulations of the Fair Political Practices Commission. (Group/Category: Procurement Card Holder, 2) Note this designation is applicable only if Procurement Card is issued. This position alternates between remaining in a stationary position and operating a personal computer for long periods of time and frequently moving about inside the office. Requires the need to travel across campus to other office buildings from time-to-time, on even and uneven surfaces. This work is performed in a typical office environment operating standard office equipment. This position requires frequent contact with office staff, departments related to Advancement and fund raising, prospect campaigns, etc. Incumbent will travel throughout, and off campus for meetings, events, and training, and may occasionally be required to work irregular hours such as evenings and weekends.